The beloved BIRKENSTOCK classic, Arizona, can now also be worn in wet areas, thanks to the use of high-quality EVA plastic. 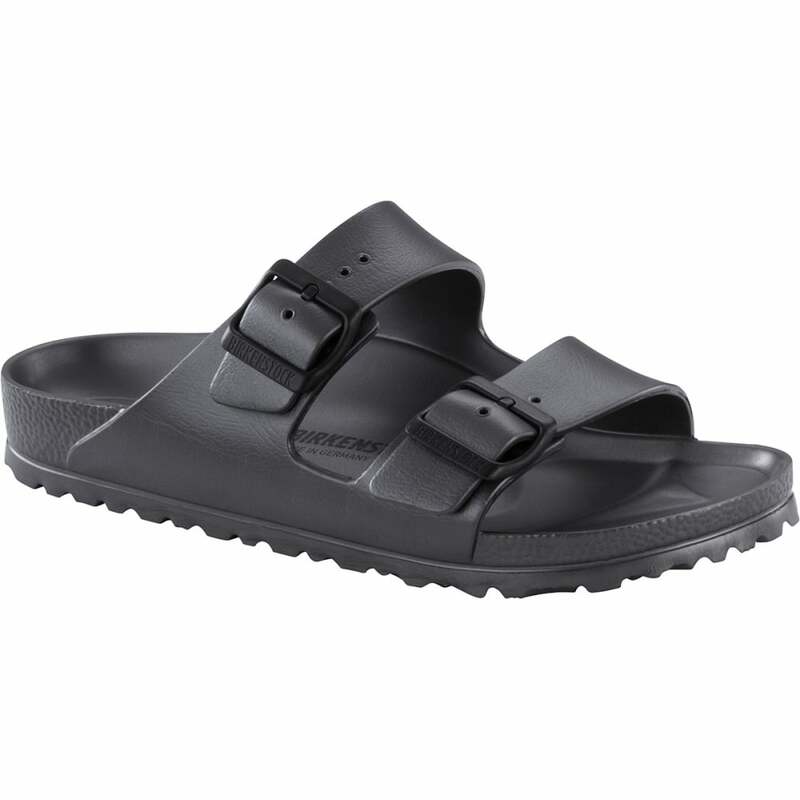 This makes the versatile sandal lightweight, flexible and washable, whilst still featuring the anatomically shaped footbed. Comfortable, stylish and super lightweight. Perfect for traveling. I am constantly wearing my eva birkenstocks. They are comfortable and it doesn't matter if I get them wet, for a change. I still have ordinary Birkenstocks as well for the dry weather as well. Fast delivery and lovely comfortable sandals!